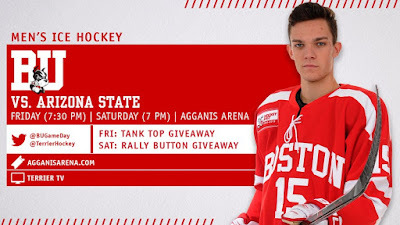 Terriers will look to continue their second semester success as they host Arizona State for a pair of games at Agganis Arena. Tonight’s game is set for 7:30 and will be live streamed on Terrier TV on Stadium. A year ago, BU traveled to Arizona and came away with a pair of wins—8-0 and 4-3—over the Sun Devils in the first-ever meeting between the teams. #17/15 ASU has a 16-9-1 record and owns wins against Penn State, Harvard and Michigan State (twice). Last weekend, the Sun Devils dropped a pair of games at Cornell. Their offense is led by the nation’s goal-scoring leader, Johnny Walker, who has 19 tallies along with eight assists. Defenseman Brinson Pasichnuk has 20 points. Massachusetts native—and Cardinal Cushing alum—Joey Daccord has played all 26 games with a 2.24 GAA and a nation’s best six shutouts. 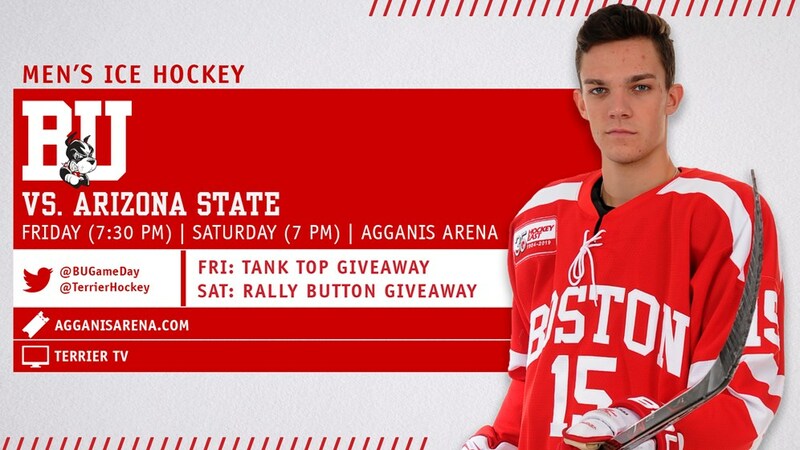 BU has been getting more balanced scoring the past seven games (5-1-1). Junior Patrick Curry has eight points (2G, 6A) over that span and freshman Joel Farabee has eight points (3G, 5A) in the past six games. Dante Fabbro leads the Terriers with 20 points and is on a four-game scoring streak, as is Shane Bowers. For today's earlier post click here. #10 Terriers put their five-game winning streak on the line as they host Merrimack tonight to begin a home-and-home series with the Warriors. 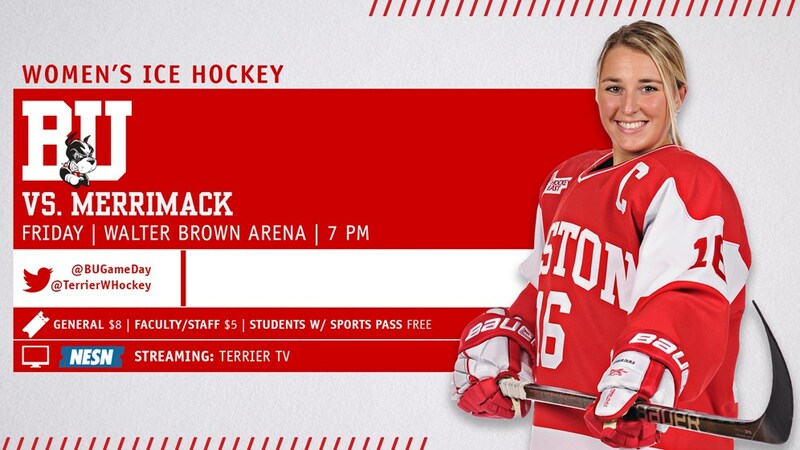 Puck drop is at 7 p.m. for the game that will air live on NESN. Viewers outside of New England can stream the game on TerrierTV on Stadium. BU sophomore Jesse Compher leads Hockey East in scoring with 31 points and is third in the nation with 40 points overall. Junior Sammy Davis leads BU in goals with 15.